Today, I’m delighted to welcome Katrina Shawver to Virtual Book Club, my interview series which gives authors the opportunity to make a pitch to your book club. 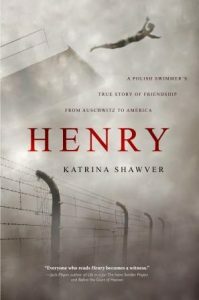 Katrina is an experienced writer, blogger, speaker, and the author of Henry: A Polish Swimmer’s True Story of Friendship from Auschwitz to America, an adult nonfiction biography released in 2017. 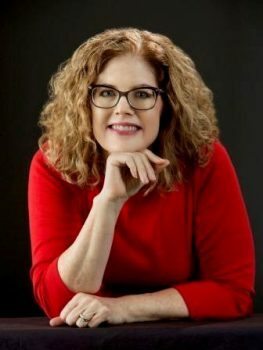 She holds a BA from the University of Arizona in English/Political Science, and began her accidental writing career in 1997 after penning a letter to the editor of The Arizona Republic newspaper in Phoenix, Arizona. In it she complained about their coverage of schools. At the time she had three children under the age of six, and was frustrated with the focus on schools and not parents. In the letter she added a somewhat flippant, “P.S. – I’m a mom, and I have a degree in English. If you don’t find anyone else to write it, I will.” Six months later they called her up and asked her to write a regular column. She did that for eleven years, becoming passionate about the power of the written word to influence opinion and provoke discussion. She lives in Phoenix, Arizona in the US with her husband Rick. She is happy to visit book clubs and other interested groups via Skype. Katrina, the title of the book touches on its subject matter, but can you tell us a little more? I met the eighty-five-year-old Henry Zguda fifteen years ago when I wrote for the newspaper and, after one meeting, offered to write his story. Told in an interview format, Henry relates a life as a champion swimmer and coach, interrupted by three years imprisoned in Auschwitz and Buchenwald as a Catholic Polish political prisoner. This bridge to history is told with a pragmatic gallows humor and is supported by extensive research, original documents, and rare photos not seen elsewhere. What is it about your book that you feel makes it particularly suitable for book clubs? Henry: A Polish Swimmer’s True Story of Friendship from Auschwitz to America is an excellent choice for the group of discerning adults looking for an intelligent read. It offers a different viewpoint of the camps, that of a Polish political prisoner. Henry Zguda was arrested and imprisoned for three years for one reason only: he was Polish at a time Germany had sworn to destroy all of Poland. This view of the Holocaust through Polish eyes is a perspective not commonly known or written about outside the Polish community, for multiple reasons. I hope people have their ‘aha’ moments in reading it. Secondly, this story is related in Henry’s voice and told on a very personal level, akin to the interview format of Tuesdays with Morrie. The format most closely replicates our experience, and our growing friendship. Friendship is a recurring theme throughout. The story continues after WWII to reveal a life lived without regret. Unlike most accounts of the time, it isn’t completely dark. Even in the worst of places there were lighter stories told with a certain pragmatic gallows humor. Third, this book contains more than eighty original documents and photos, most not printed elsewhere. There are Henry’s personal letters written on Auschwitz and Buchenwald stationery, transport lists, registration paperwork, Henry’s personal photos, and others from museums. They add a visual to the substantial research and history that is woven throughout. Real life, and therefore real history, needs to be viewed through multiple lenses. Many of the stories I could not possibly invent in a fictional account. In the back of the book, there is a list of topics for discussion designed to provoke meaningful conversation, as well a list of recommended reading for those interested in exploring the issues further. Who will this book appeal to? The story will resonate with anyone of Polish background, and in fact I have received huge support from the local Polish community. The Polish-American Journal chose Henry as their October book review, which is significant considering the book just released November 1, 2017. It is also ideal for advanced high school, and all college-level courses on WWII or the Holocaust. It will also appeal to an older audience, especially those who may be second-generation survivors and have a greater link with the history. The research component began with reading memoirs and biographies of the time as well as reference materials on the history of Poland and the Holocaust. I have amassed a small library on the topics. It then grew to visiting the university library, combing websites for credible museums and institutions, and locating ever more resources. I had multiple documents translated from Polish and German. Ultimately, the project could not be completed until I visited Poland and Germany. While in Auschwitz and Buchenwald I met with the lead archivists to verify facts and stories, and walk the steps Henry did. I learned things I could only have learned by being there. There is no substitute for visiting a concentration camp in person. None. What makes this story a significant contribution to WWII history? I have used the following quote by A. Whitney Brown as my epigraph: “The past actually happened, but history is only what someone wrote down.” The quote summarises much of my drive to get this story out into the world on behalf of many people. This account is far more than one man’s story. It honours the millions of Poles who were arrested and executed. Six million Poles were killed during what was nearly six years the country endured WWII. Three million were Jewish, three million were Christian. In Auschwitz alone, 150,000 Poles were executed or died from starvation, disease, and mistreatment. Two Catholic saints were martyred in Auschwitz. Additionally, no country suffered more, endured more, or lost more than Poland during WWII. The country was invaded by two genocidal leaders: Hitler and Stalin, both of whom were determined to destroy all things Polish. Even worse, Poland fell under the rule of Russian communism until 1989. For three generations of Poles, it was forbidden to teach Polish history or honour Polish heroism. Subsequently, there are far fewer accounts from the Polish viewpoint, especially in English. I have gained a huge and lasting respect for Poles. 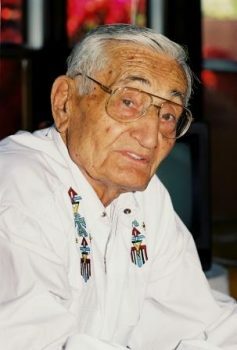 Henry Zguda taken in 2003 at the age of 85. He passed away the following year. What makes this account so relevant today? Henry witnessed perhaps the most extreme example of anti-Semitism: the calculated, strategic murder of millions of European Jews. Today, there is a rise in anti-Semitism, hate crimes and swastikas. I am also disturbed when I hear of those who deny the Holocaust ever happened, or that there were no Poles in the camps. I hope this book causes readers to pause, think, and consider the lessons of history. What will you remember most about Henry. Henry’s attitude about life. He had witnessed and lived through the absolute worst of mankind, and preferred to look ahead, rather than behind. He was one of the most positive and wise people I have ever known. For Henry, each day was a blessing, a gift denied to so many others. 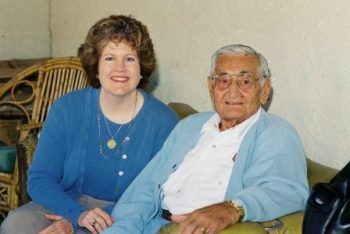 He made me promise to include the good times in the book, because “they were so many more years than the bad.” He never sought money or riches, but he was the richest man I have ever known. Twenty words on why your book should be a reader’s next read. Go. Henry is a provocative and informative true story that is entertaining, historically accurate, and written from a very different viewpoint. Where can we find out more about you and Henry: A Polish Swimmer’s True Story of Friendship from Auschwitz to America? My website katrinashawver.com contains a lot of information and additional resources. The book is available at most online booksellers worldwide. 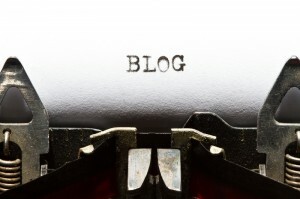 I blog regularly and people can sign up for my email list. I can also be found on Facebook at ReadKatrinaShawver and Twitter at @KatrinaShawver. Remember, if you enjoyed this post please share it. If there’s anything else you’d like to ask Katrina please leave a comment.